APERITIF AT THE CAFFÈ FLORIAN AND VISIT TO THE DUCAL PALACE Exclusive visit to the historical Caffè Florian in Venice, followed by a visit to the Ducal Palace and dinner at one of the most famous restaurants in Venice A walk in a very exclusive and hidden Venice that will only open for you. Our guide will welcome you in the oldest Italian Cafe, Caffè Florian one of the symbols of Venice. Launched in the eighteenth century by Floriano Francesconi under the name of "At the Triumphant Venice", it was soon dubbed by customers "Florian", as the name of the owner in the Venetian dialect. Over the time it has become chic and privileged destination for Venetians, Italians and foreigners. You can discover this fascinating place following the narration of the travel guide savouring a drink and Venetians appetizers: the ideal way to begin this journey into the past. After the aperitif you will be guided to the Palazzo Ducale which will be opened in the evening exclusively for your eyes: you will admire the works of art, as well as the grand rooms which witnesses the glorious times of Venice. You will know the history of the Palace and the Serenissima Republic and will "meet" the main protagonists of its glory. At the end of the tour will be accompanied to the Gran Caffè Quadri, one of the few places in the world that can boast the charm of having crossed ages and fashions while remaining true to himself, now Starred restaurant of the famous Chef Alajmo. We are pleased to introduce Fois Jonker Group, the first international Company based in Venice and Sidney placed to provide highly-qualified worldwide VIP Services, management and organization of Charter and Private Jet, executive transfers with exclusive cars , both for individuals and for groups, tours and personalized itineraries, corporate and leisure events, personal concierge and every type of assistance tailor-made to burden the client with only the pleasure of travelling. 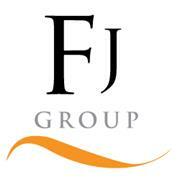 Today, Fois Jonker Group, operates in more than 300 airports in the world with over 1,000 collaborators. Fois Jonker Group’s aim is to ensure maximum assistance to the Clients on departure, arrival and transit in all the airports where we operate, turning their journey into a privileged experience, without stress-full waiting time. A big number of passengers travelling on Fois Jonker Group Airports can’t do without the benefits reserved to them: no more queue at check in counter, thanks to the service of pre-registration and boarding card printing, no more waiting time at security controls thanks to the fast track access and total relaxation in the VIP Lounge until boarding time. The highly qualified Fois Jonker staff, will take care of the customers from their first step into the airport to the hotel. The guests will be guided through the most exclusive private and rigorously customized tours, in enchanting locations and greeted on their departure directly at the aircraft doors and why not, also assisted on the way back home with the same Airport Vip Service and Limousine transfer. Thanks to the extensive synergy of our offices, each step will be carefully monitored by our operations center and our assistants, making the customers feel at ease at any time. Furthermore… Rome, Paris, London: having a private jet means travelling easily, covering several routes in one day, in total comfort and relaxation. It means being always operative, leaving whenever needed and arriving rested and pleased thank to the atmosphere of a spacious cabin just for your Client. Fois Jonker Group fleet is made of jets with different features in order to meet any customer’s need: jets for travelling on short or long routes, higher and wider cabins, different number of seats, equipment for the organization of important meetings. The security levels of the fleet are extremely high, while pilots and crew are expert and trained. Privacy and discretion are a must of our service. Last but not least Worldwide Events, the new brand by Fois Jonker Group operating all over Italy and abroad, for those who want to organize their meetings and congresses in elegant and distinctive venues, or create a special Event with personal Assistant Service or Team Building activities. Moreover, Luxury Tours service is the best choice to visit the world and know its cultures with tailor made itineraries created according your Clint’s needs, who will be once again assisted and cuddled by over 1,000 Fois Jonker Agents all over the world. Pirelli, Banca d’Italia, Perkinelmer Hotel Cipriani Venezia, Rosenthal Bank are some of the main Companies-Clients who experienced the competence of Fois Jonker Group in managing events and services. Thanks to our call center 24 h./ 7 days, our agents will be able to satisfy even last second requests.